Why pedal when you can fly? 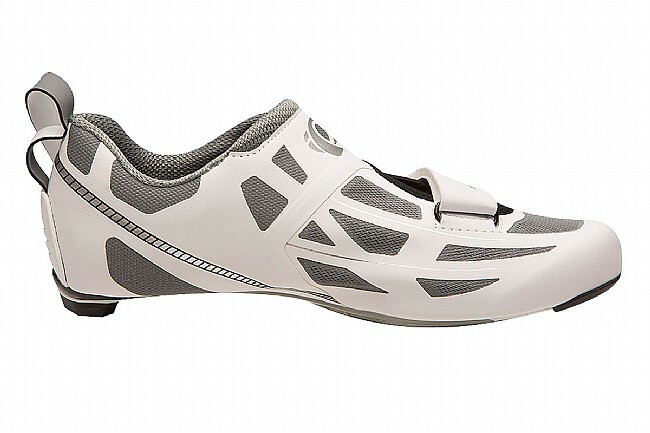 Make transitions short and sweet as you fly out of T1 with the Pearl Izumi Women's Tri Fly Elite V6 cycling shoe. Designed for sockless comfort, the lined seamless upper features large mesh vents to keep your feet cool and comfortable mile after mile. 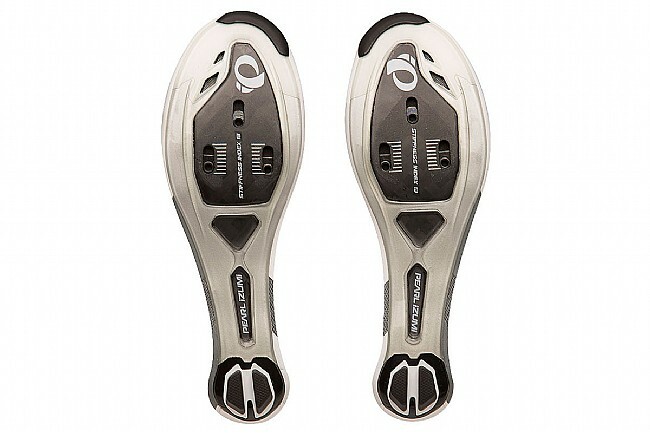 With the Elite 1:1 Integrated Carbon Power Plate, you'll have Pearl Izumi's stiffest sole yet to ensure that every watt you generate is transmitted to the asphalt. 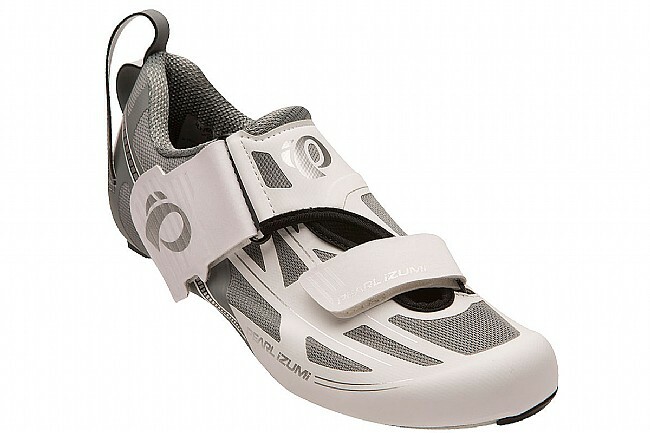 Speed up your transitions with a large heel loop to help get your feet situated even as you pedal away. The 1:1™ Anatomic Tri Closure helps keep your feet comfortable with its wide hook-and-loop forefoot strap, beginning at the inside of the arch and wrapping around your foot to the outside for a cradle-like fit. 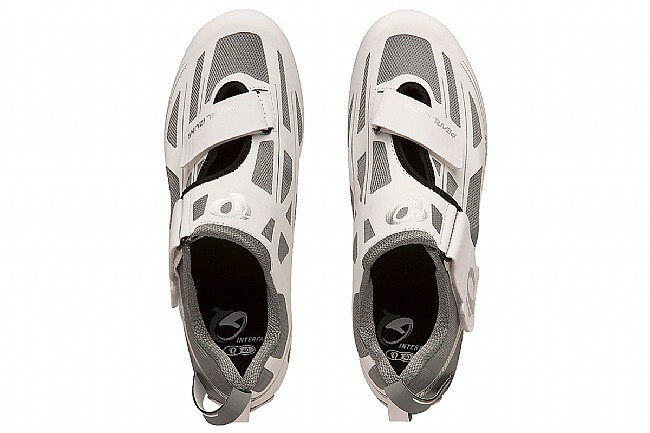 Compatible with three-bolt road cleats.